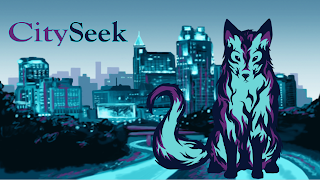 CitySeek: Raleigh is a game that allows families to explore interesting sites in Raleigh. Users choose a seeker, which corresponds to an interest or theme such as art, museums, nature, music, etc. Each seeker has a list of locations in Raleigh that are related to their particular theme. When the users visit each these locations they play a game that is usually similar to a scavenger hunt, and receive items and badges for their seeker for completing each location.